Your desk is where you spend majority of your working hours. Therefore, your office abode should be a haven for productivity. Fact: You’ll be much faster and sharper when you know exactly where your things are. Stay on top of your daily tasks with these essential desk accessories that transform your desk into a neat and organized place. Here’s how to make excellent use of the walls along the perimeter of your desk (if any). Use a vertical board to write out important reminders. Visually displaying your to-do list helps tame the clutter on your table. It also allows you to assemble tentative mood boards that will help fuel your brain juices for your existing tasks. Your desktop computer’s digital calendar might not make the cut when you have multiple windows buffering on your screen. Make your life easier by having a calendar in front of you. Now, you can quickly jot down important dates and notes. 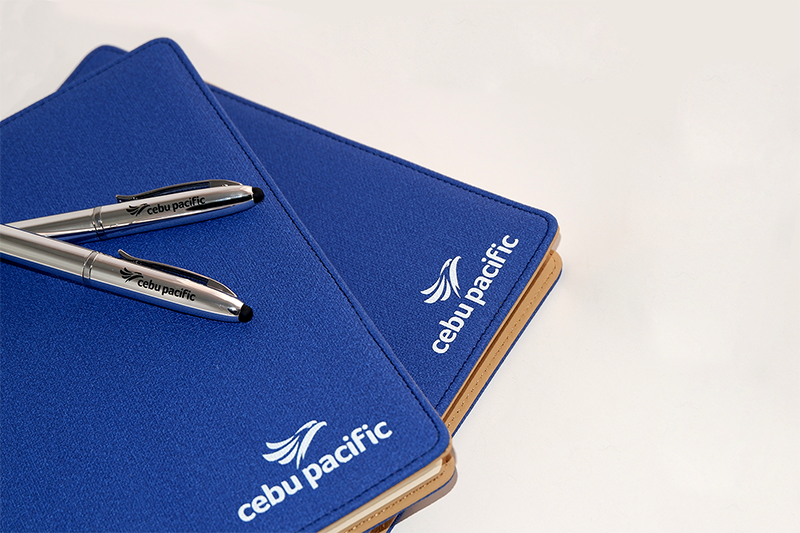 Using a trusty notepad is as simple as scribbling, tearing and sticking. This table accessory will become your bearer of important news or reminders. You can also use it to warn your colleagues not to touch your sandwich in the office refrigerator. Having a pencil holder on your desk reduces the likelihood of having your pens scattered all over your table. It doesn’t have to end with pencils, though. You can stack your pens, markers, rulers and scissors too. This is particularly important if you have lunch at your desk. But even if you don’t, make it a habit to disinfect your table with antibacterial wipes at least once a week. It’s important to get rid of dirt and grime that lurk on your table and keyboard. A hefty and durable holder can be used to store all your important files and documents. This helps you avoid the inconvenience of trying to find an important file sandwiched somewhere in a tall stack of pages. It’s also important to label the different folders clearly, so you can easily fish out whichever document you need within a matter of seconds. If you’re living in fear of your office mug tipping over and causing a horrific mess, you should invest in a flask with a lid that shuts tight. Even if you knock it over, you will not be faced with the consequences of having coffee-drenched documents. Nature is soothing to the eyes. Our eyes need a break too, because we constantly strain them with bright lights from our desktop and mobile phones. Looking at the green leaves also promotes a sense of relaxation and gives you peace of mind. Plus, it makes your desk look aesthetically pleasing.